Purple Flowers Bento, a photo by sherimiya ♥ on Flickr. 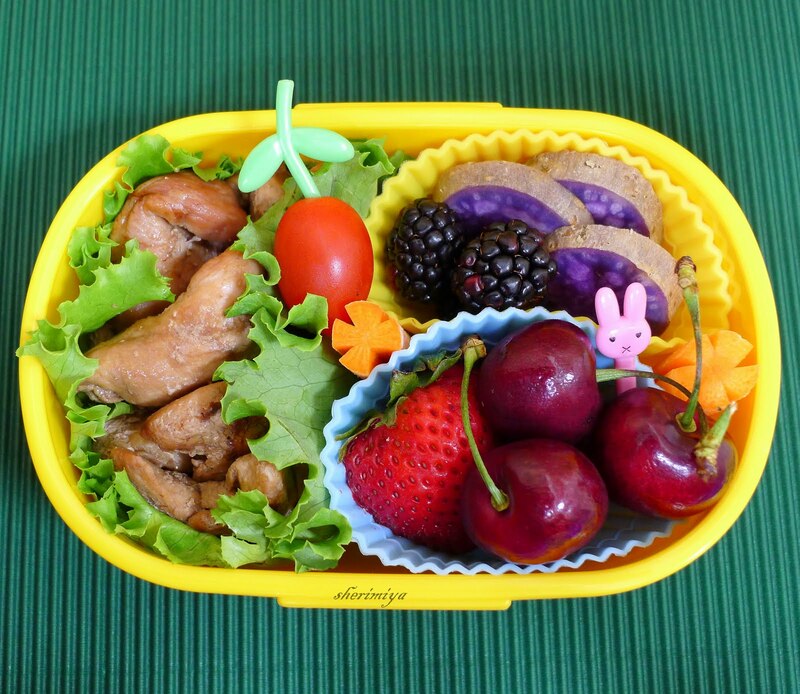 Another pair of bento today again: shoyu chicken for both kids - with assorted corn, Okinawan sweet potato, carrots and fruit. 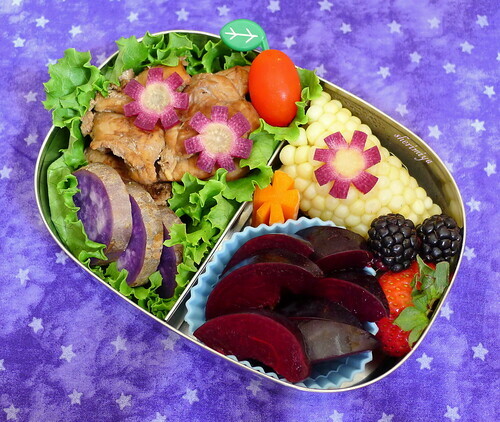 I carved flower shapes out of purple carrots in MisterMan's bento; aren't they pretty? He also gets the dark red (almost black) plums that are loaded with juice and super sweet; I think they're called Flavor Rosa. I can't give them to TinySprite or I'll see evidence of them all down the front of her shirt. Instead she gets cherries, which she can eat pretty neatly. They also both get a grape tomato. Wow love the colors and looks delicious! Thanks Mommyof2girlz and Oen Priyanto! I love summer berries too! Can't get enough. The purple berry? It's blackberry, and there's also dark red plum. Both are super sweet. I love using picks for quick kawaii ^^ Thank you Nami!